Dealerships who migrate to an open DMS enjoy broader vendor selection, reduced expenses, and the opportunity for custom development. Connect your business with third-party apps that run seamlessly to improve access to customer data and reduce integration fees. Our Automotive Success Platform comes equipped with free, fully loaded, powerful APIs that allow for modular integration between systems. 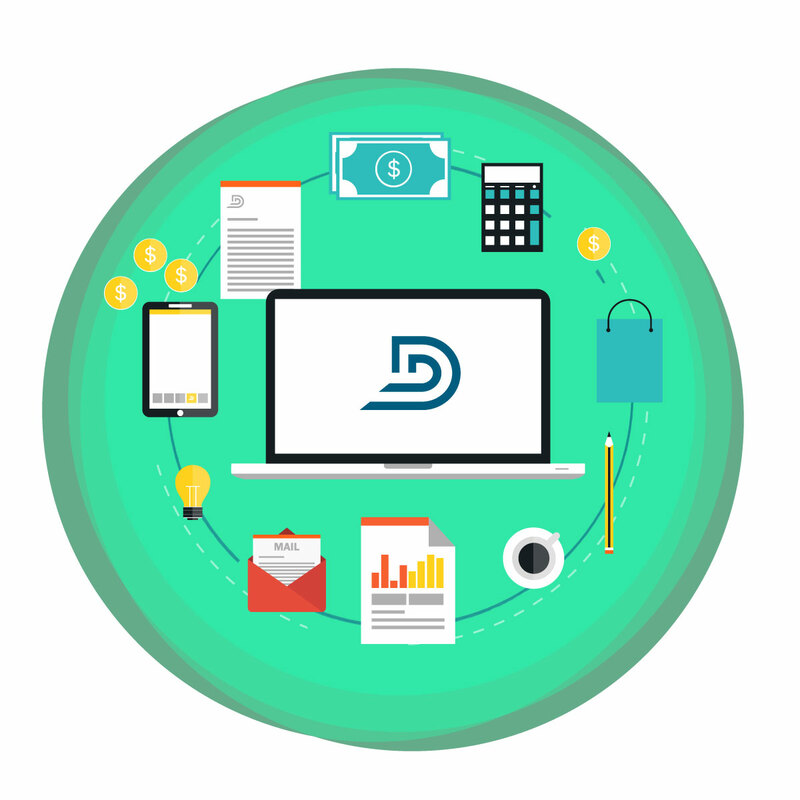 DealerTeam is truly the first cloud-based automotive software that does not restrict data access or charge expensive security fees. Capitalize on thousands of integrations available from the Salesforce AppExchange and through services like IFTTT and Zapier. Easily automate even complex business processes, streamline and simplify any department, any role, for any size of business. Cloud computing for dealerships provide drag-and-drop tools and workflows to automate business processes in minutes. Run your business the way you want. Intelligent trigger-based flows replace rigid time-based rules that don’t react to changing circumstances. Create and update records and send automated notifications. Build custom apps to address your dealership’s specific needs. Engage our team to assist in making your ideas reality with Premium+ Success plans. What good is collecting a mountain of data if it doesn't tell you a story? 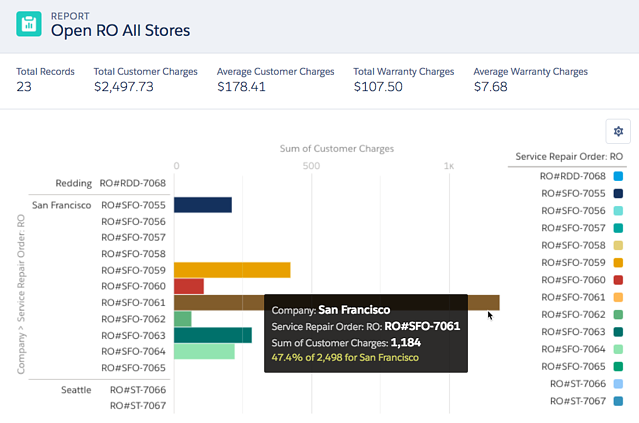 Build powerful reports with drag-and-drop simplicity. Hover over real-time summary reports to reveal deeper content and gain key insight. Role based dashboards protect the wrong eyes from reading sensitive data while allowing management the capability to drill-down and view granular detail at any level, from any device. Schedule recurring reports to update daily, weekly, or monthly and have them automatically delivered to your inbox. Even better, enroll in Premium+Success and we'll make the reports and dashboards. Open API's dramatically reduces the time required to integrate, unlock, and modernize back-office systems. Connect to data sources in minutes, not months. Link up to Partners who offer free, fully loaded APIs and gain programmatic access to external sources using REST APIs, or connected with apps and devices using SOAP APIs. Lightning has been optimized with features that deliver unprecedented Internet scalability, exceeding 1 billion complex business transactions per day. Integral system features—such as the bulk data-processing API; Apex, an external, full-text search engine—help make dependent applications highly efficient and scalable with little effort from developers.